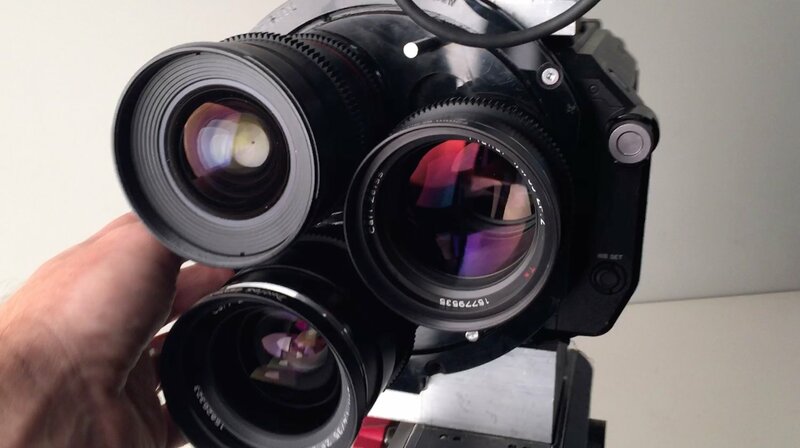 The folks at Newsshooter recently published a demonstration of Multi Turret, a rotating mount that enables camera operators to quickly toggle between three different lenses. The Multi Turret originates from cinematographer Ian Kerr CSC, according to Newsshooter, and was showcased at NAB 2019. 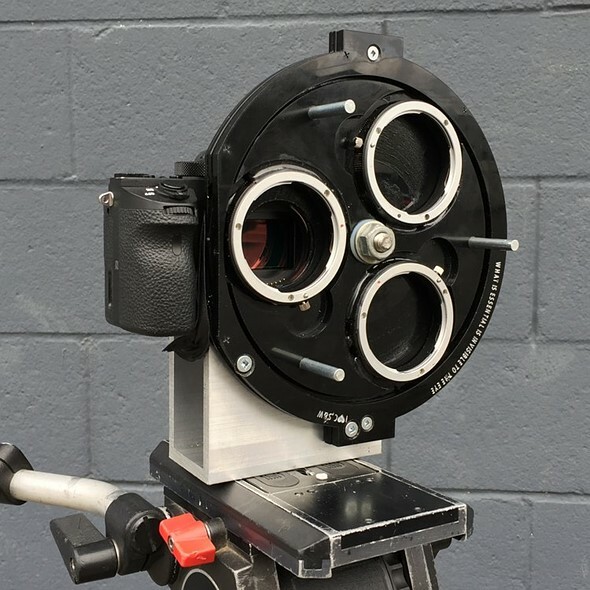 The prototype demonstrated to Newsshooter supports three Canon EF lenses, but other versions that support PL, K, F, and other mounts 'are likely also possible,' according to the Multi Turret site. Switching between lenses only requires the camera operator to rotate the mount, which repositions a different lens in front of the camera. Select from a wider range of field of views (and speeds) than any zoom can provide. An example would be mounting 14mm, 35mm and 135mm high-speed lenses. 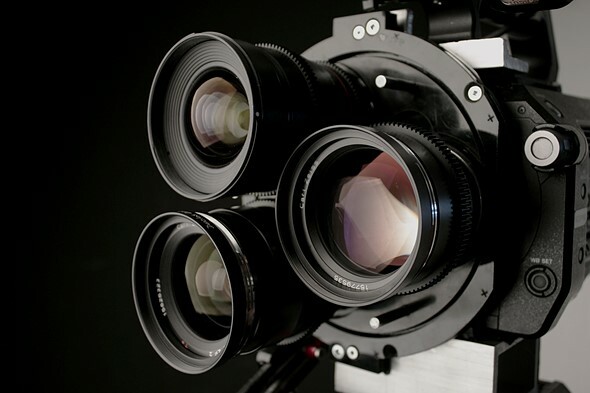 The length, weight and centre of gravity of the system is reduced compared to larger ratio zoom lenses. 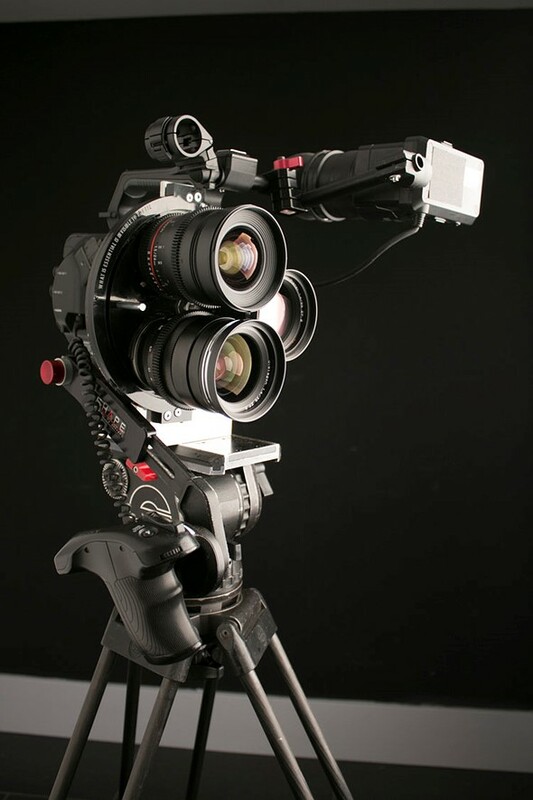 Great for shooting in cars or handheld. Multi Turret is only a prototype at this time and therefore is not available commercially. Anyone interested in knowing more about the prototype and what lead to its creation can check out the team's Multi Turret Manifesto.